Since her arrival in New York and on the media scene in 2013, Elizabeth Plank has broken all the records. Before she set foot in the news room of Mic.com, a web platform for generation Y, the site had 3.2 million visits per month. 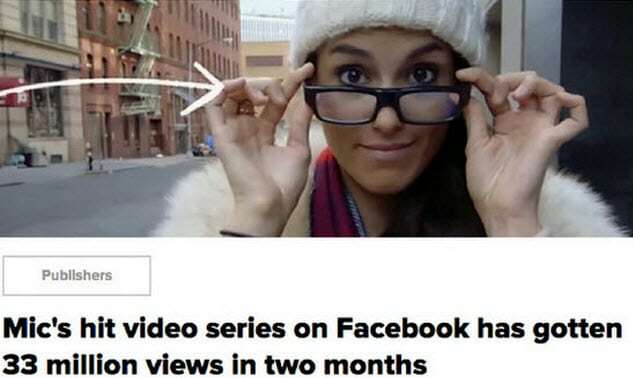 Three months after she was hired and rose rapidly to the head of the editorial team, the company saw its monthly visits increase by more than 200%. Her path is genuinely fascinating. Before settling in New York, she completed a degree at the London School of Economics, all while writing articles for the Huffington Post. That’s when she had her first success with running a viral campaign. She launched a Change.org petition that collected more than 55,000 signatures, and succeeded in reversing a significant decision by the Amateur International Boxing Association (AIBA) to prevent female boxers from wearing skirts while competing at the 2012 London Olympic Games. Since then a string of successes have followed, from her much discussed and highly shared articles, to her numerous television appearances, to her recent nomination to Forbes prestigious 30 Under 30 list of the most influential people working in media. Early this year, the debut of her web series Flip the Script pulverized every Mic record, with her most popular episode garnering more than 16 million views. Her original way of exploring the issues affecting her generation and an approach that’s perfectly adapted to her audience have definitely contributed to her success. It’s a new way of influencing, communicating with, and educating the public, and it is growing fast. At her RDV Média Infopresse conference, “Nouveaux médias, nouvelles approches” I asked her a few questions about what makes for successful shared online content. What factors play into creating content that generates social media interest? There are several, but for starters, I am a strong believer in the importance of identity. The factors that determine whether or not a person shares an article are directly related to their sense of who they are and what’s important to them. We might be motivated by a cause we support, but also by the realization that we share the same everyday irritations as other people. When I started writing, I realized that the preconceived idea that only cat videos and other pointless content had the power to go viral was wrong. Sharing content online is a concrete way for millennials (generation Y) to express themselves, and share their opinions with friends and special interest groups. In my work, I’m very interested in social issues in general. 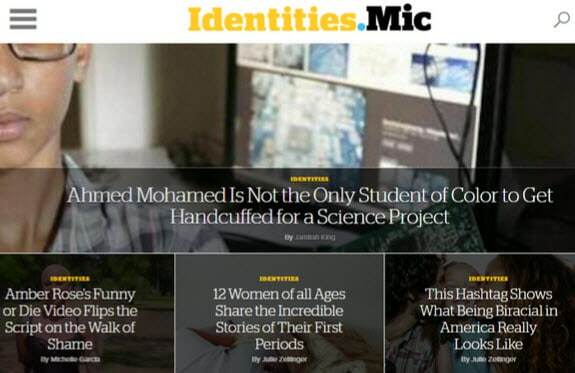 I believe these are the types of subjects, those that touch on readers’ identities, that are at least partly responsible for my articles being so widely shared. Another important point is story telling. The human brain simply understands information better when it’s explained in the form of a story. What’s interesting about the emergence of new media platforms, is that it’s now possible to tell a story using more relevant, high quality content. In your work and in your talks, you often mention emotion as a factor that influences whether or not people will want to share something. What emotions should we try to elicit when we’re creating content? The most powerful emotions are the ones that are most likely to elicit a reaction from people, from a simple share, to a raised awareness of an issue. In the end, that’s the effect I want to have. When I write about a politician who is trying to regulate abortion, or a woman running in the US presidential race, I want to elicit strong feelings, because that’s what will push people to act, whether it’s by getting better informed, by going out and voting in the next election, or by contacting their local elected official to discuss a local issue. When I write, I’m not necessarily thinking about developing content that will be highly sharable online, but more about provoking emotions that will incite people to action. My work over the past few years has shown that this type of content happens to also be highly sharable, and that’s good news! Do you have examples of companies who have succeeded in pulling this off, the way Mic does with millennials? This is an interesting time for media, where a huge pool of people are interested in an infinite number of things. Also, we’re finding that people are no longer necessarily grouped and targeted by nationality or age, but more by their shared interests. Buzzfeed has created a very strong model, certainly not perfect, but still interesting in that it has succeeded in building a platform that reaches a vast pool of people, and now has content that goes well beyond the baby animal pictures and trivial lists that were making the rounds for a long time. I also really like Vox’s model, a current events site whose mission is to make the news accessible to younger generations and people who are less informed on certain issues. It’s a model with the objective of empowering its readership to allow them to better understand their environment and the world they live in. Finally, what advice would you give to a company or a person trying to build their brand image on social media? Be authentic. Whether you’re a company, a regular person, or Hilary Clinton, authenticity is among the most sought after qualities. Younger generations were brought up in a largely prefabricated world, surrounded by modified, scripted images. They are looking for an out. Then you have an app like Snapchat, which is a great platform for distributing raw, authentic content, and I think that largely explains its popularity.